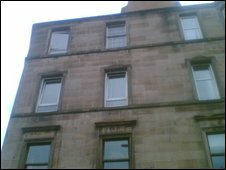 The body of a pensioner has been found in a tenement flat in Edinburgh where it may have lain for up to five years. Isabella Purves, who owned the flat, would have been 90 this year. Police officers, who are appealing for relatives to get in touch, made the discovery as they investigated a water leak on Tuesday. 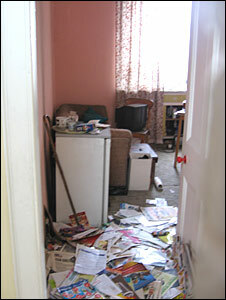 They had to push past a large volume of mail to enter the flat in Rodney Street in the Cannonmills area. The death is not being treated as suspicious. It is understood the pensioner may have been paying her bills by direct debit. 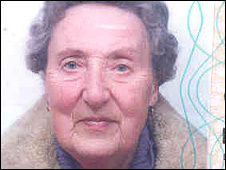 Cleo Gifford, 34, whose family lived opposite Ms Purves for 18 years, said she was saddened and shocked by the news. She told the BBC Scotland news website: "In all the 18 years we lived there, Ms Purves never had one visitor, it was a wee shame. "She was always cleaning her brasses and keeping the stair clean and would go out hiking. She was very fit and only became frail in later years. "She was an old-fashioned lady, quite a Miss Marple, Morningside-type, but not glam - no pearls or twin sets, but she would wear thick tights and long skirts and was always very well turned out. "I think it is tragic that someone can be deceased for such a long period of time and not be found, it is really sad." Dorothy Crystal, joint owner of David Crystal Optometrist, said Ms Purves was an annual customer until her last visit in 1997. She said: "We kept sending her reminders until 2004 but stopped after we thought she must have gone to live in a nursing home. "She used to walk past the shop but she was frail. "I am absolutely shocked at this news because it is a close-knit community here and I find it incredible that nobody knew she had died for all this time." Ms Purves's 44-year-old postman said: "I only met her once in the 10 years I have been delivering her mail. "She never got much mail, it was only occasional, so that's why I didn't suspect anything. "There was no smell from her door. I am very shocked and saddened that she has been lying there so long." Neil Gammack, 57, whose sister raised the alarm when water started leaking from Ms Purves' top floor flat into his kitchen, said he had not seen Ms Purves for five years. "I am shocked and have been thinking about it for days," he said. "I never saw her all the years I have been living here." 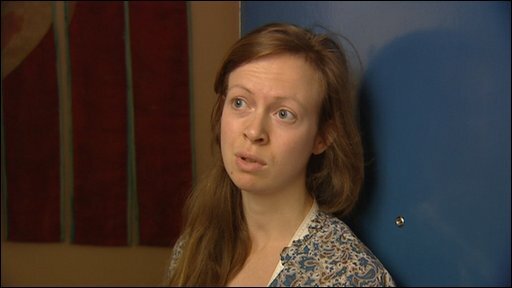 Neighbour Lucy Balloch, 28, added: "I am very sad and shocked by the news. "People always change flats here as there are a lot of students and very few long-term residents, so nobody knows their neighbours and therefore didn't suspect anything." Giovanni Cilia, 59, has owned the Fioritalia flower shop, which is located below Ms Purves' flat, for 20 years. He said she was a solitary person who would occasionally stop to talk. "I haven't seen her for at least three years, maybe more," he said. "She would sometimes weed the communal garden at the front of the tenements and I used to see her with a huge rucksack and big walking boots... but I never knew where she was going."